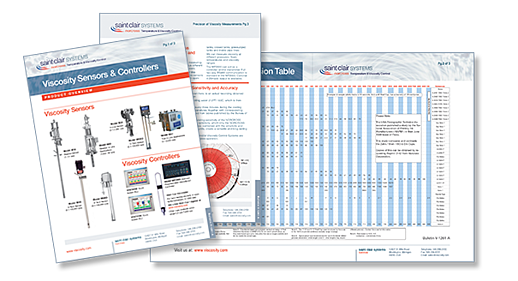 Get monthly news and insight on the latest approaches to streamlining manufacturing processes with temperature and viscosity control solutions. Saint Clair Systems has developed methods to measure and analyze, in real time, the temperature of coating materials across the width and length of the strip, ensuring consistent film builds from edge to edge and head to tail. Our coil coating systems eliminate inconsistencies in manual viscosity measurements and adjustments by controlling viscosity with temperature. With the ability to control coating temperature, you can ensure a stable and repeatable coating viscosity. This allows other process variables, such as roll speeds and nip pressure, to become definable and repeatable, reducing set-up time and scrap. The Saint Clair Systems patented PCM creates the performance of a three-roll nip-feed coating configuration on a standard two-roll coater, without all the complexities. Offers improved finish quality in gloss and metallic alignment and eliminates the “ropiness” effect, giving paint a “sprayed” appearance. Takes the pan out of action to keep process coating in the two places it belongs: on the strip and in the drum. Reduces system fill volume up to 80%, leading to significant cost savings. Works with all applications including stationary pan systems. Coil coating systems require multiple color and formulation changes daily. Our patented Heat Exchanger Cleaning Station, enhances operating efficiency by improving heat exchanger performance and longevity. Significantly reduces cleaning solvents required. 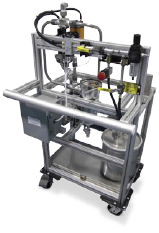 Fully automatic, self-contained and designed to deep-clean the exchanger, removing all debris down to 5μm. Powered solely by compressed air, the station is intrinsically safe and can be used in mix rooms or coating booths. Allows for dry solids to be disposed without the environmental concerns associated with normal solvent waste. 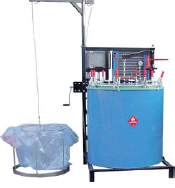 Reduces solvent purchases and hazardous waste generation. 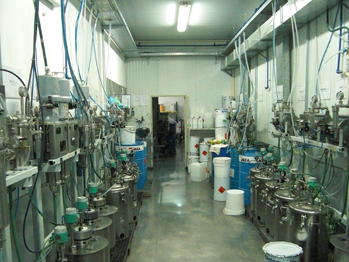 Processes conventional, or alternative solvents. Founded in 1990, Saint Clair Systems is dedicated to the science of temperature control and delivering fluid process control solutions that will help our customers enhance productivity and improve their bottom line. Our customized solutions are designed to replicate the best time of the year, best time of day, and best conditions to run production, regardless of variations in ambient temperature or process generated heat.